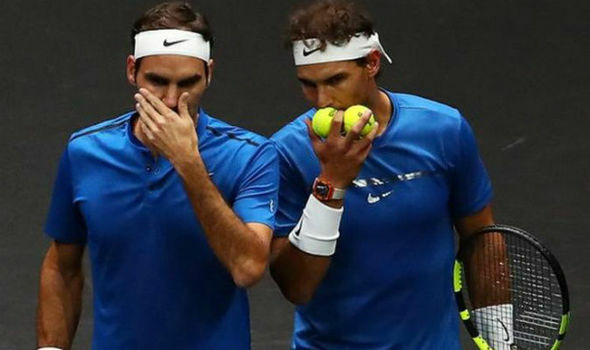 ROGER FEDERER and Rafael Nadal have agreed a shock deal to play together in the Wimbledon doubles this year. The fierce rivals have won 36 Grand Slams between them but they are now set to appear on the same side of the net. The stunning link-up was agreed by the two in the early hours of this morning as the pair shared a bottle of Moët & Chandon, a company Federer is an ambassador for. Federer and Nadal partnered one another for the first time in the inaugural Laver Cup in 2017 where they got their partnership off to a winning start. 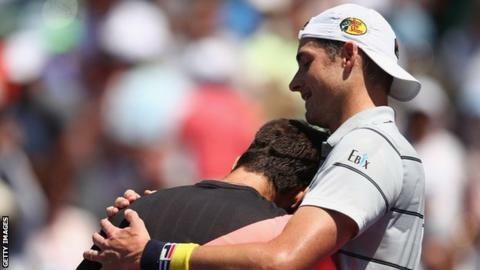 The two greats overcame Sam Querrey and Jack Sock in three sets and showed enough of an understanding for both to want to play on. While Federer and Nadal have dominated the sport for year, neither has won a Grand Slam doubles title. Speaking after their first doubles showing together, Federer said: "We will always be rivals as long as we are active. And after this we will be rivals again. Nadal labelled the experience "unforgettable" and added: "To have the possibility to have Roger next to me is a huge privilege... something I wanted to make happen at some point and today I made it happen." An further announcement is expected to be made at 12.01pm on April 1. Yes, super lame, I know . Just missing LC Fedal a bit. TTW should be shut down on April 1st. The biggest joke will be Isner winning today, but that will surely become true, unfortunately. Whatever the result will be, his efforts and all that sweat are surely no joke though. Effort? That should only be restricted to his right shoulder and arm.